Keep your printed documents away from prying eyes. Keeping documents secure until they are printed (where they sit in the output tray, available for anyone to take) isn't just possibly embarrassing – doing so can be, for example, a HIPAA regulatory violation. Exposing confidential and personal data can damage your business' reputation and result in fines. And do you want your business plan for the next five years to be picked up and shared with competitors because a disgruntled employee made a quick copy? Achieve security at the point of print. 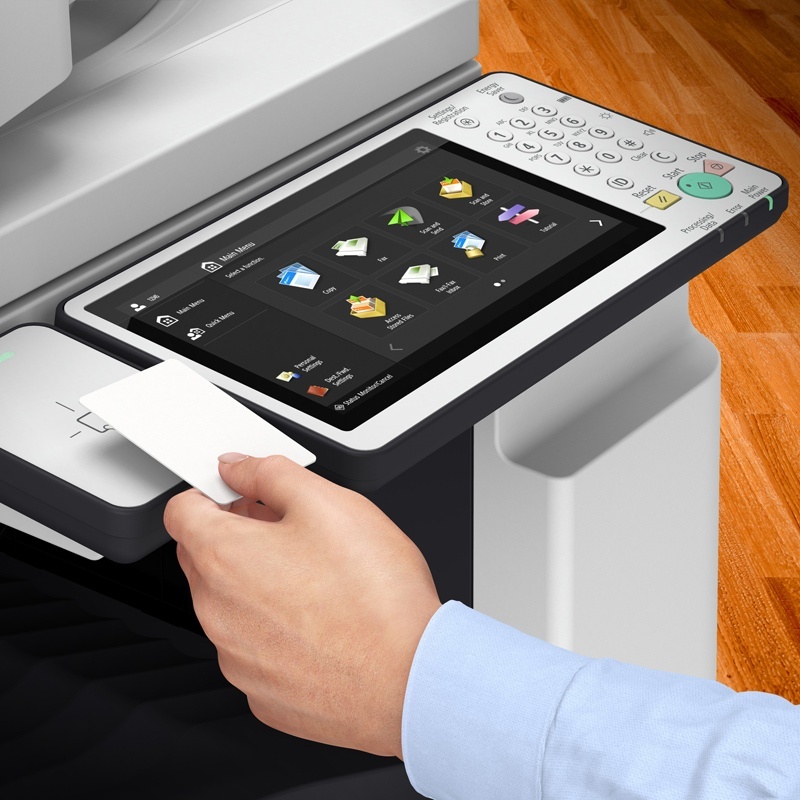 Users can be authenticated at the printer or digital copier with a variety of security methods – card reader (magnetic, proximity, or smart), PIN, fingerprint, or user name and password. Users can access print jobs on multiple networked devices, allowing print jobs to be printed (or deleted) where convenient for the user. Mobile workers can securely send print jobs from their phones on the way to the office – and pick them up on the way to their desks. Secure Print with minimal IT footprint. For regulated industries, pull printing (or walk up printing) adds an additional point in audit trails for confidential information, providing even more evidence that only authorized employees had access to the information. Are you ready to secure the “last mile” (OK, last few feet) of your printed document output? Contact Datamax Arkansas to learn more. You can release a print job at the printer or copier – eliminating privacy and security concerns from confidential documents being easily accessed in the output tray.